Counseling day was a day of pride for Madras Medical College. Following the general counseling of the top rank holders in MBBS, BDS course in Chennai, the Madras Medical College (MMC) is the choice for pursuing their doctoral dream. The second oldest college in Chennai is opted by 17 top rank holders, followed by Stanley Medical College, and Coimbatore Medical College, which followed in rank. After the first phase of general counseling was over and the 17 rank holders made their selection; the remaining total of 510 candidates, out of which 502 attended, filled the seats in government medical colleges. 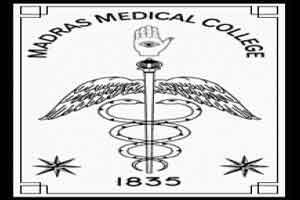 Madras Medical College had filled total seats of 250, and 177 were allotted to Stanley Medical College out of its total capacity of 250, with 133 remaining now. BDS had found no takers till now. Coimbatore Medical College had an intake of 61 seats out of 150 in capacity and in Kilpauk Medical College 52 seats were reserved from a total of 150 seats. Another college to tick mark its admission is the Madurai Medical College, with a total absorption of 43 out of 155 seats.